Morocco is one of those locations that seem to impact people very differently. By most reports, it’s a beautifully chaotic travel destination, that may or may not be for the faint of heart. Unfortunately, it’s also one of those destinations that seem to garner a lot of safety warnings, especially for women traveling alone. Today’s guest contributor, Maria Fedele, is here to tell us all about her experience (good and bad!) on a solo female trip to Morocco. I have always wanted to travel to Morocco. It has been this elusive, exotic and exciting place since I first watched Humphrey Bogart and Ingrid Bergman navigate the bustling streets in Casablanca. My first glimpse of the Moroccan coastline was from a ferry which bumped along from Tarifa to Tangier and as I approached the shore, I knew I had made the dumbest best decision in my travels yet. Let me make this clear straightaway, if you are thinking of doing a solo female trip to Morocco — just don’t or at least let my experience help you think it through a bit better. 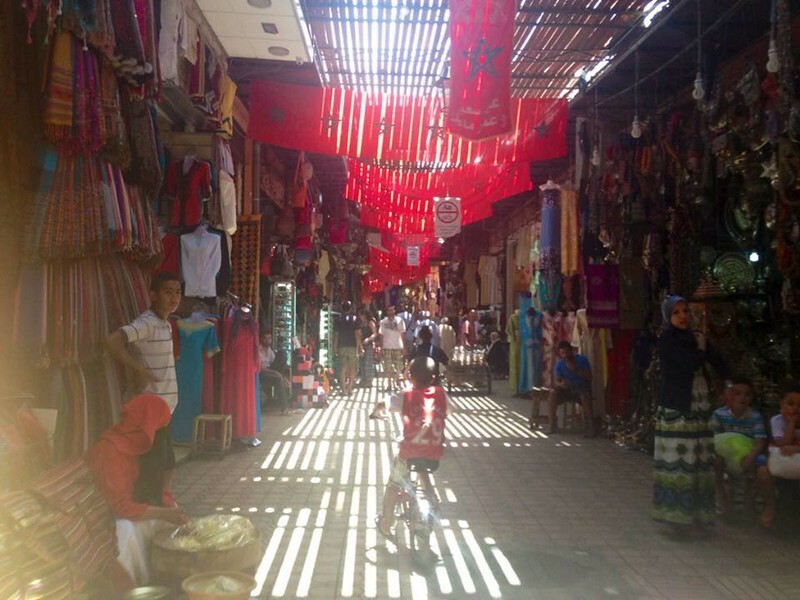 Inside the souks of Marrakesh. Moroccan’s have a culture like no other – it is a melting pot of African, European and Muslim influences which engulf and overwhelm all your senses at once and leave you deliriously wanting more. On my first day in Tangier, I ventured into the souks and upon haggling vehemently for a leather-bound book; I was whisked away by a shop owner into a hidden pharmacy which made natural medicines. The robust smells of almond oil, rose leaves, cardamom and saffron cumulate to diffuse the most captivating aroma. Picture taken from the balcony of my accommodation in Hash Bay, Taghazout. Leaving with what I was promised was an all-healing bottle of Aragan oil and in desperate need of a respite, I clambered into the century-old Hafa café with its whitewashed balconies and view over the Mediterranean, it is a haven and oasis from the chaos of the city. Ordering a traditional mint tea and watching Tangier stir rapidly around me, I descend into a state of adventurous bliss. However, in a matter of minutes, I am joined at my table by a twenty-something Australian boy who has the most wondrous green eyes full of youthful wisdom, a nomadic Irishman with soup stains on the front of his Khaki pants, a flamboyant English fella with eyes as blue as his button-down shirt and a loud American woman. And so begins an evening of banter, story-telling and joyous conversation. I learn that many great artists, intellects and celebrities past and present, have travelled to Tangier to lose themselves in the charm and magic of the city and as I sit in the café, I can see why. Inside the Ali Ben Youssef Mosque in Marrakesh. Once you get past the initial culture shock, Morocco is a treasure-trove of vivacity, activity and excitement as intoxicating as the strawberry flavoured Shisha’s you are bound to inhale. 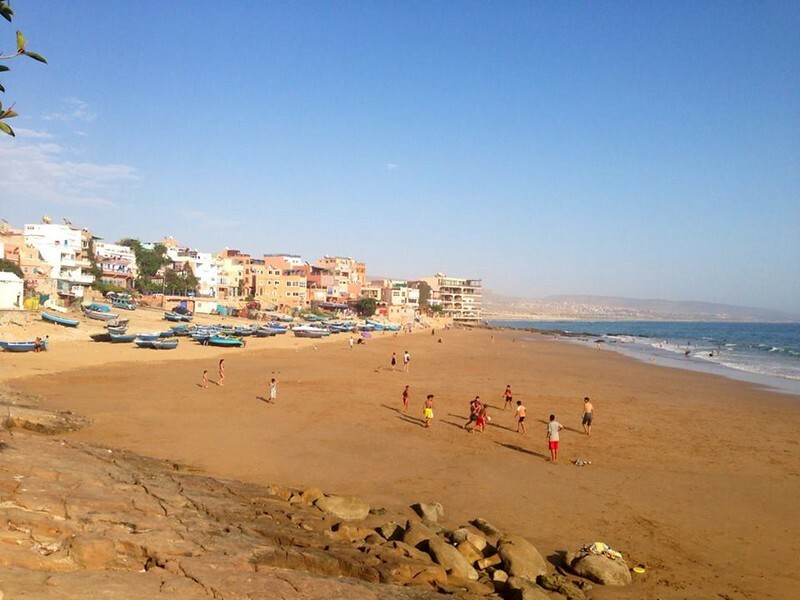 From exploring the Mosques of Marrakesh, trekking through the Riff Mountains, clubbing in Fes, surfing in Essaouria and relaxing in the resorts of Agadir, Morocco truly has something to entice everyone. 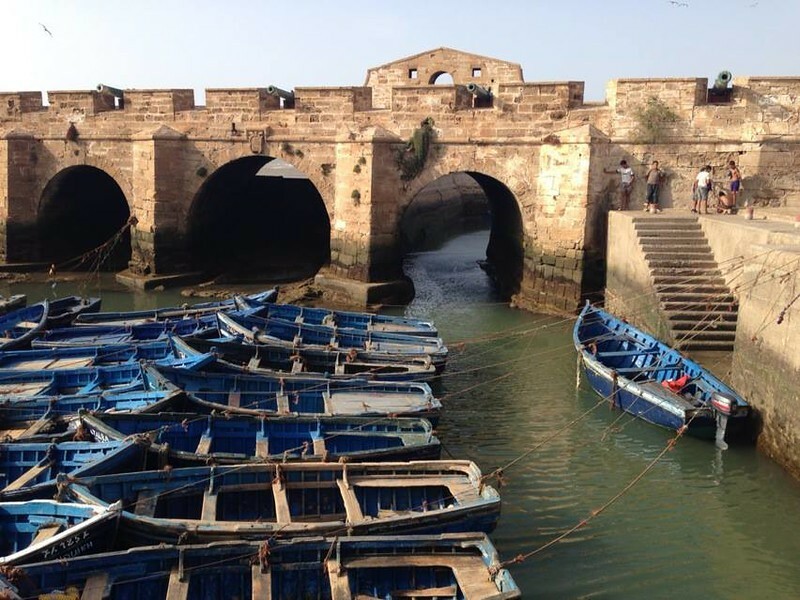 Port of Essaouira is a beautiful place for a stroll. 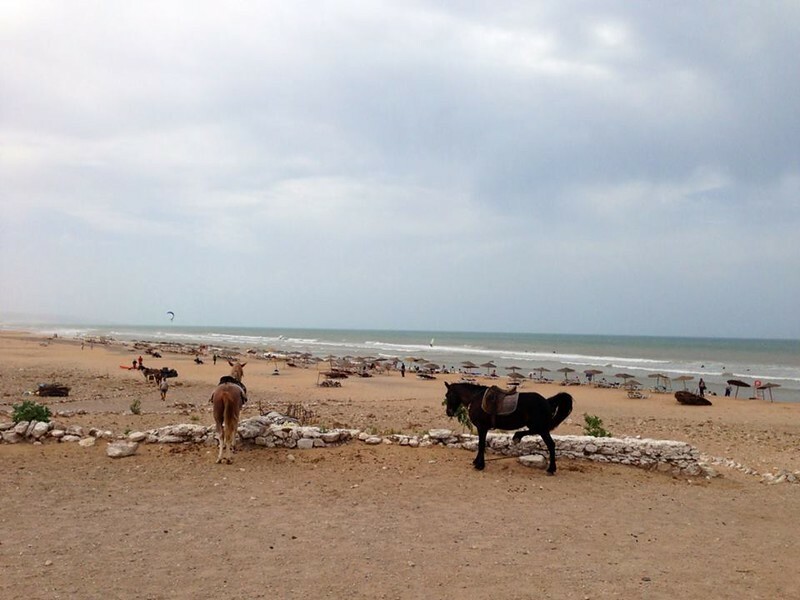 Horse hanging out on a beautiful beach on the road to Safi, Moulay Bouzerktoun. Perhaps the best advice for anyone considering a solo female trip to Morocco is to accept that these are the types of things that you will inevitably encounter when traveling through Morocco on your lonesome and the lesson is not to let it deter you, but rather be aware, prepared and determined not to let these challenges get in the way of a catastrophically incredible trip which, if you are as darling and intrepid as me, will make you wonder why you didn’t book a ticket sooner. Looking for a place to stay? Start your search for hotels in Morocco with us. 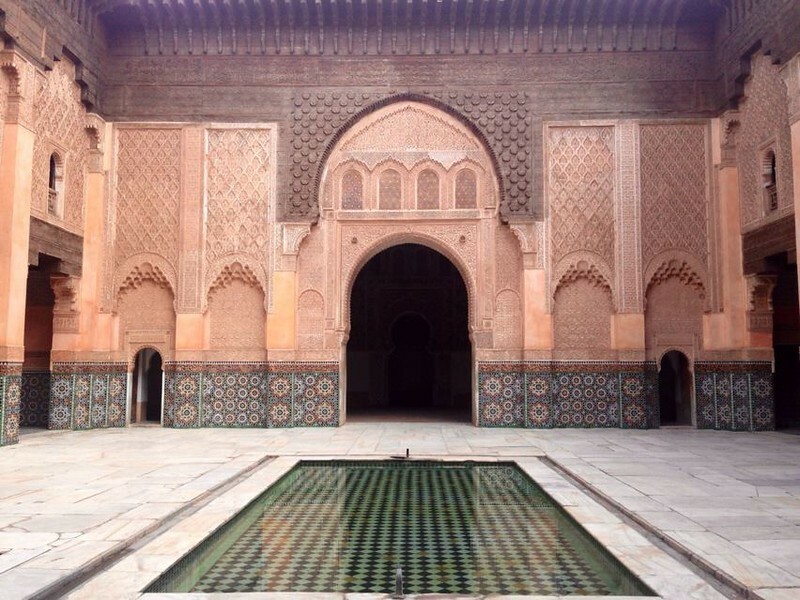 Have you ever explored Morocco? What was your experience? Do you have tips for solo female travel to Morocco or other parts of the world? Come join the conversation at the My Itchy Travel Feet page on Facebook. Or send us an email with your thoughts.